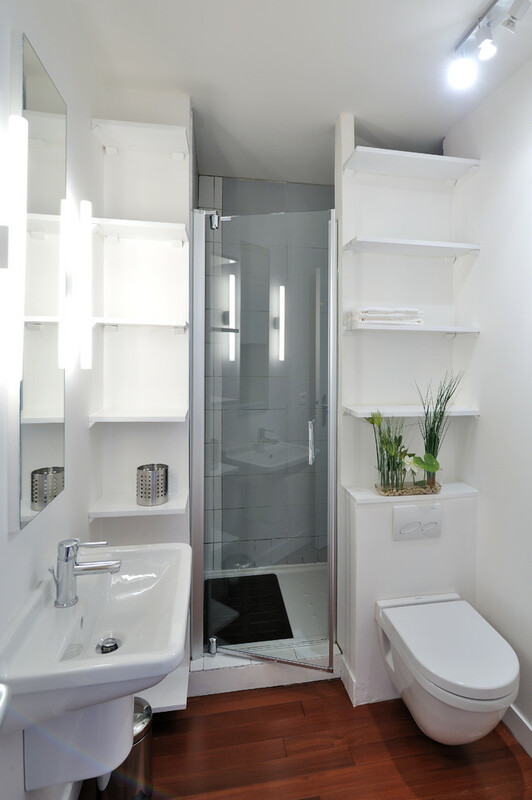 Having small space left for bathroom can be spiteful for some people. 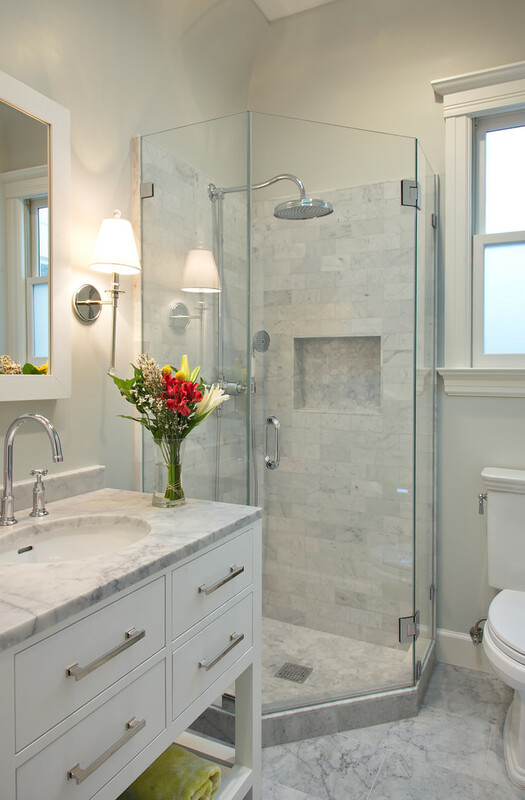 Having large and airy bathroom can be exciting. 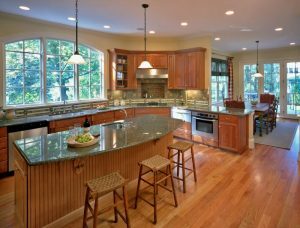 However, sometimes it can be a hassle to clean a large room and take quite a longer time to clean it. Thus, it is a great deal to have a small bathroom. 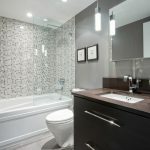 However, having a small bathroom doesn’t mean you will have an ugly bathroom. 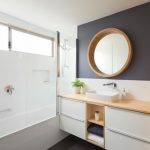 If you think your bathroom is ugly, you should do some makeover or remodeling for your bathroom. Here are some ideas that you might like. This one is simple and the pretty thing in this picture is how the ceramic wall has some ornaments that will give great different in the wall. You can try that. 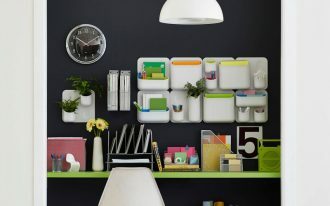 And probably have a beautiful cabinet as well, just like what this picture shows. If you love to have rustic theme even the wooden floor, you can try this idea too. 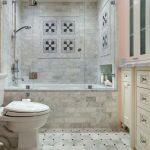 They separated the shower area with the sink area as well as the flooring. 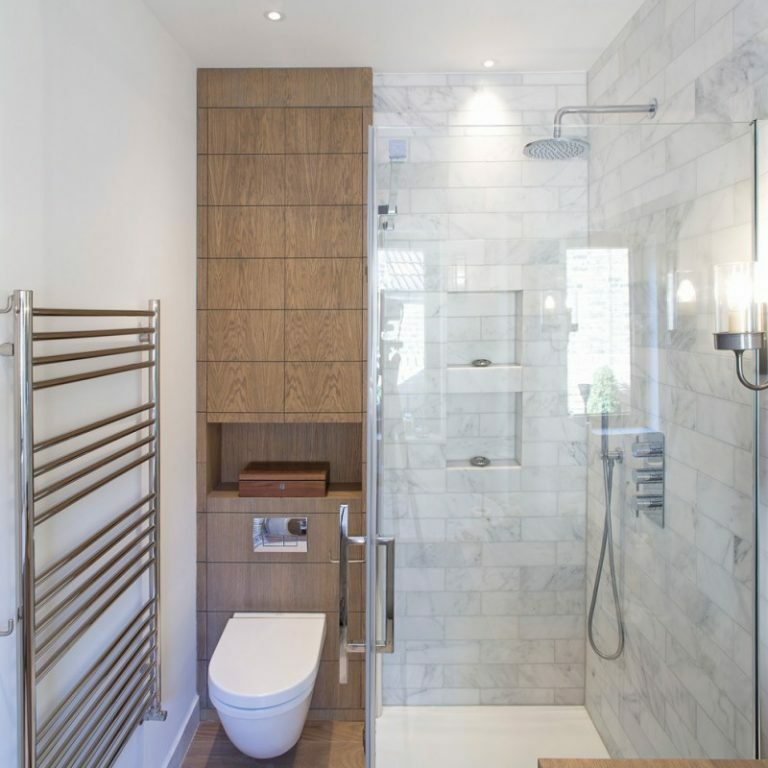 The area with the sink is floored with wood whereas the shower area is with white bathtub build in the floor. 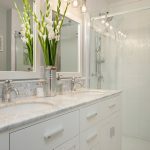 If you think your bathroom is really small, you can try this idea on using all white on the walls, ceiling, and flooring as well. 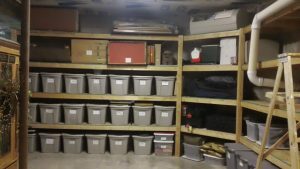 With this, a room should feel larger. 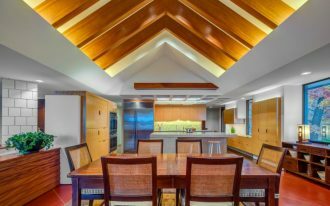 You can also use several mirrors and glass to decorate and as partition too. If you are more into dark shade, you will probably love this one. 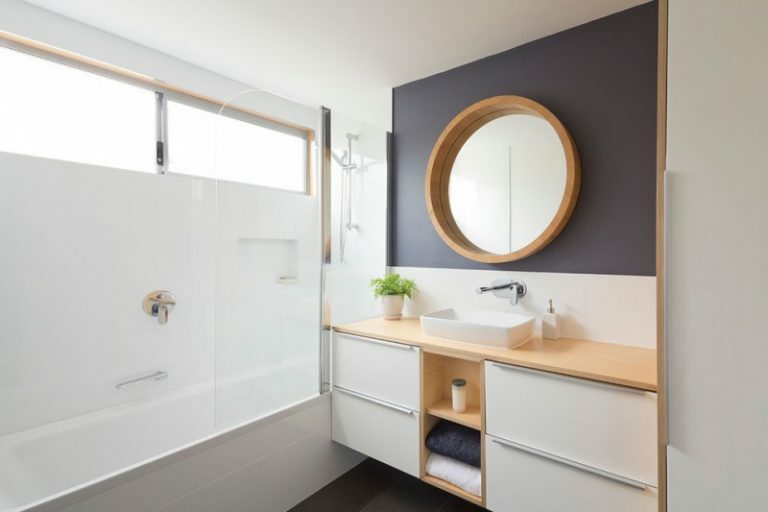 With its grey wall and flooring in toilet and sink area, it gives you the feeling of masculinity. 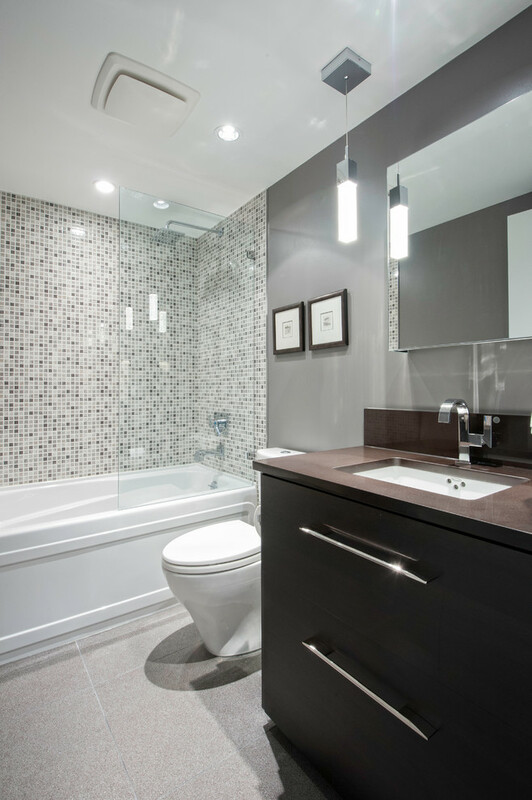 However, the bathtub shower area is more neutral with its white bathtub and white-brown-grey small bits tiles wall. 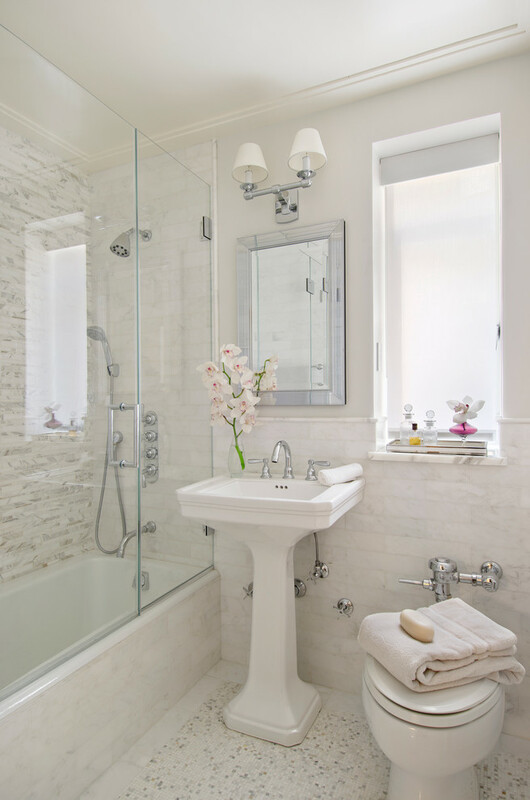 This bathroom is so pretty with all white furniture and soft color choosing on the wall. 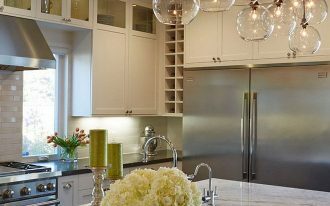 The perfect touch is the small light bulbs that give the beautiful touch on it, besides the white cabinet and the sinks. 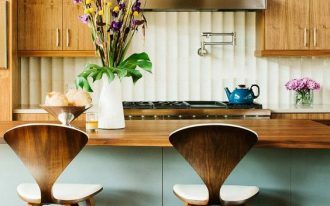 When you think of a small room, you might think of going minimalist so that it won’t look too heavy. You might want to keep all light. Well, then you might love this one. 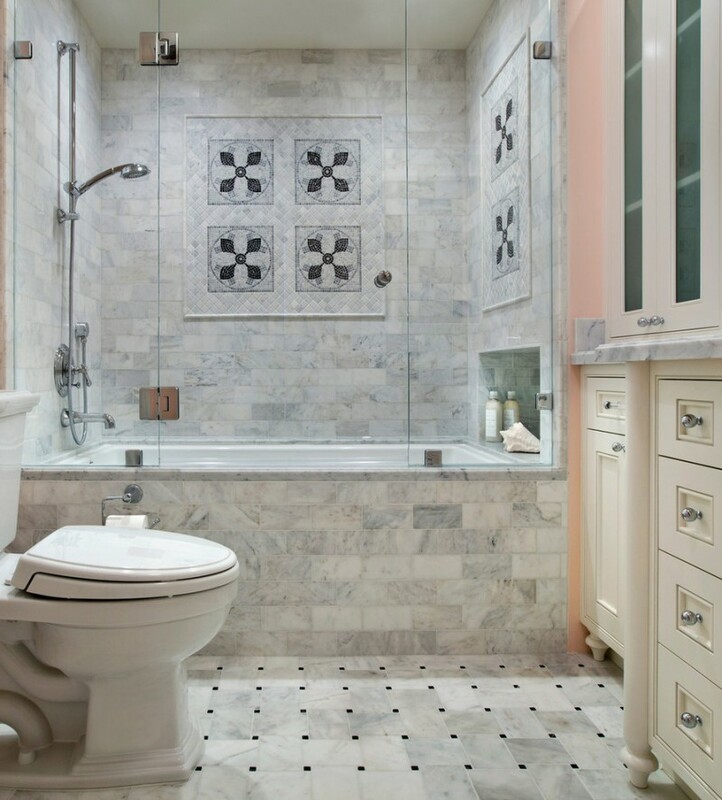 Even the shower is in traditional design that it looks classic. With its glass partition, you will be able to keep the rest part dry. 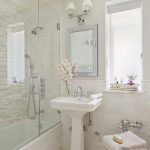 Even if you only have small space to change it to your bathroom, you can maximize its function by putting things important without forgetting the aesthetic. 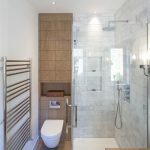 As you can see in this picture, the designer successfully put shower, toilet, and even towels rail inside without forgetting to make the visual pretty. 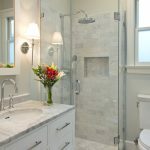 For you who love to make your bathroom pretty or even feminine, this one is one example to do it. 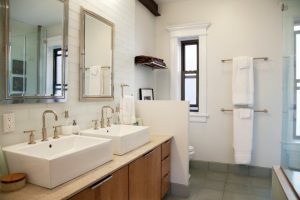 You can put everything in white and make sure you have blurred window that can gives the soft light into your bathroom. The white prey wall lamp is essential in too in this picture. Bathroom is one place you put so many things. You can put towels supply, soap and shampoo supply, and even medicines. 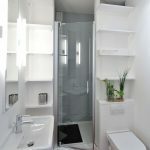 If you think you love having the supply inside your bathroom, this is one way to do it: having shelves in your bathroom that can store all. 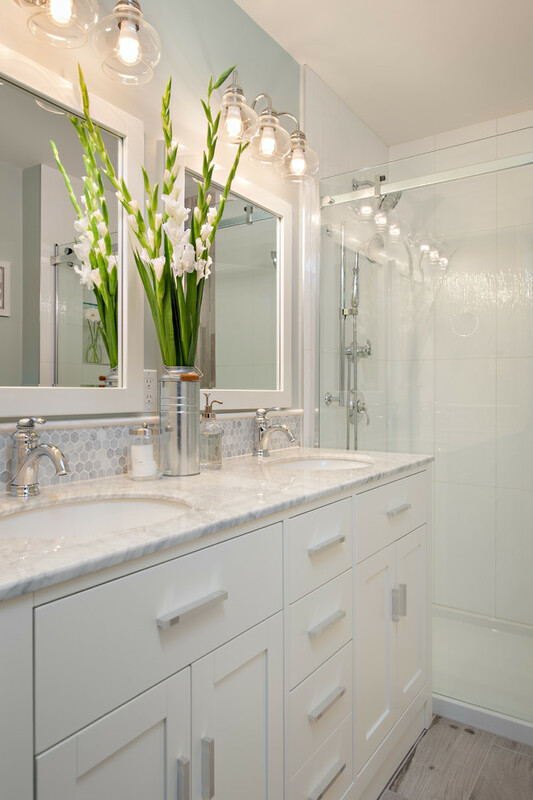 White color helps to make your small bathroom looks brighter. 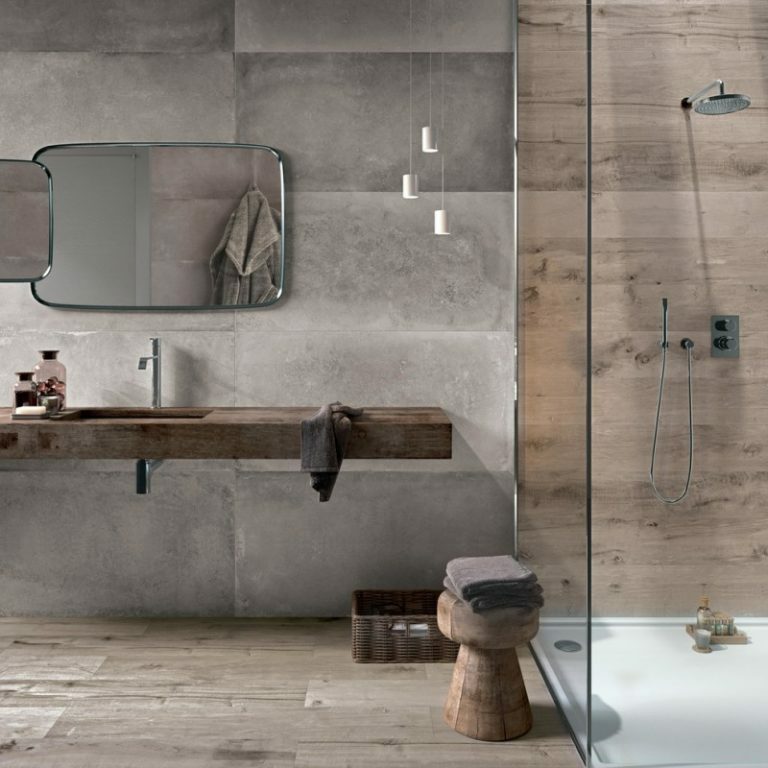 There will never be a reason not to make your bathroom pretty even though you lack the space. This one is one of the evidences. 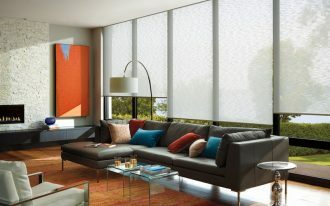 With white walls that look perfect, it brightens the room well. 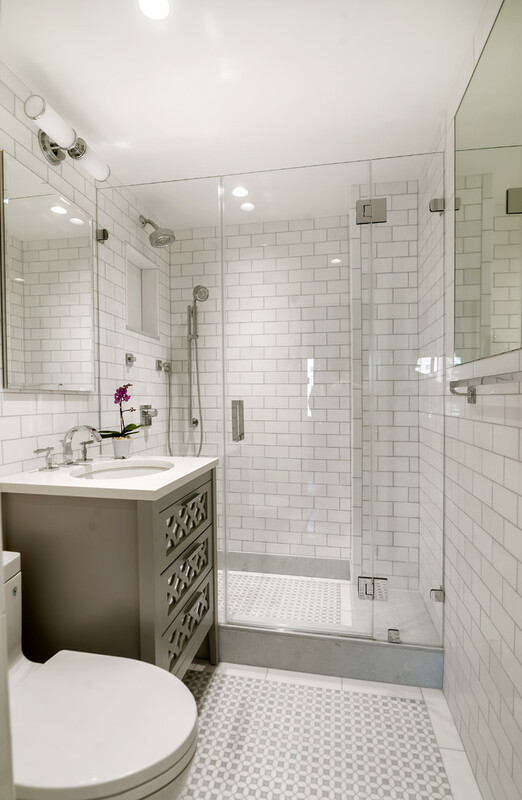 The shower and bathtub is in one area. The best thing is the cabinet. It’s in white and brown with brown wooden top and white sink. And on top, there is round mirror framed in brown wood.